The 2019 Ford Transit Passenger Wagon for sale at Jarrett-Gordon Ford in Winter Haven, FL - near Lakeland, Auburndale, Bartow, Haines City, and Lake Wales - provides space, professionalism, and more. It operates on a powerful 3.7L Ti-VCT V6 engine with 275 horsepower and 260 lb.-ft. of torque. You can choose to have seating space for up to fifteen passengers, but there are options for two, five, eight, ten, twelve, or fourteen people if you don't need quite that much. Passenger A-Pillar grab handles and 60/40-split hinged passenger-side doors (low roof only) make it easy to get in and out. The low roof is standard, though medium and high roof choices are also available. Classic accents like carbon black bodyside moldings and a chrome grille bring a high-end, professional look to the vehicle. Black molded-in-color front and rear bumpers further enhance that appearance. Pewter-colored, cloth seating trim is both functional and aesthetically pleasing, while front and rear air conditioning keeps everyone comfortable in the Florida heat. 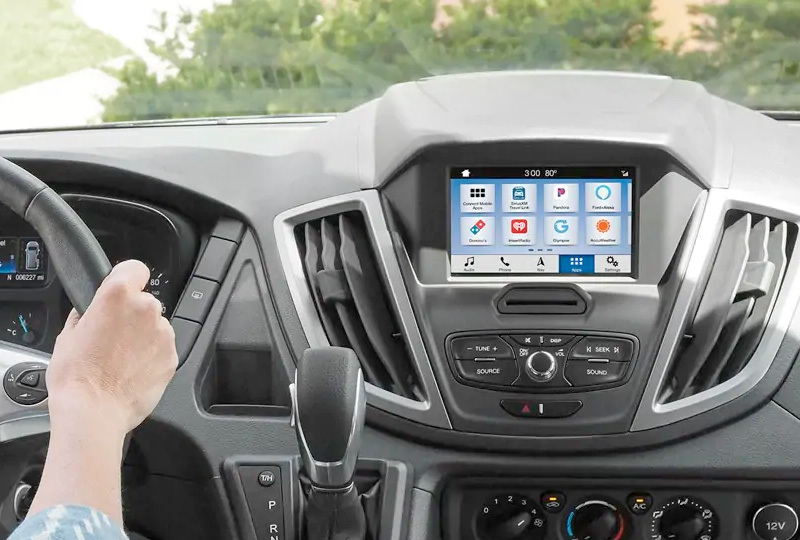 If you want to enjoy music while on the journey, a 4-inch multi-function display with audio and radio allows you to connect easily. Now is a great time to drive home a new Ford! Our 2019 models are here and there are deals you have to see to believe. Stop by our location at 3015 Lake Alfred Road, Winter Haven, FL to take your test drive! 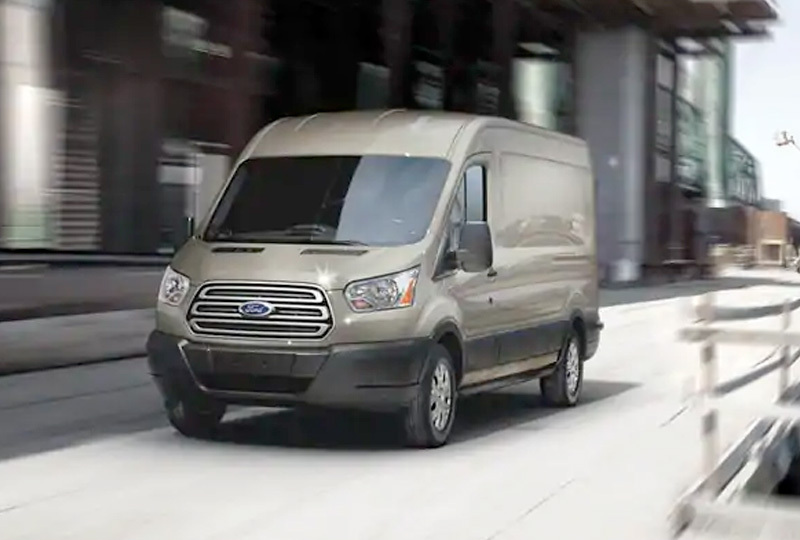 We'll help you drive home the 2019 Ford Transit Passenger Wagon you've always wanted. New for 2019 is the option of two-, five- and 14-passenger seating. The regular-wheelbase Transit Passenger Van with low or medium roof, now comes in a standard eight-passenger model. The Transit Passenger Van long-wheelbase model, also available with the choice of three roof heights, provides standard 12-passenger seating. 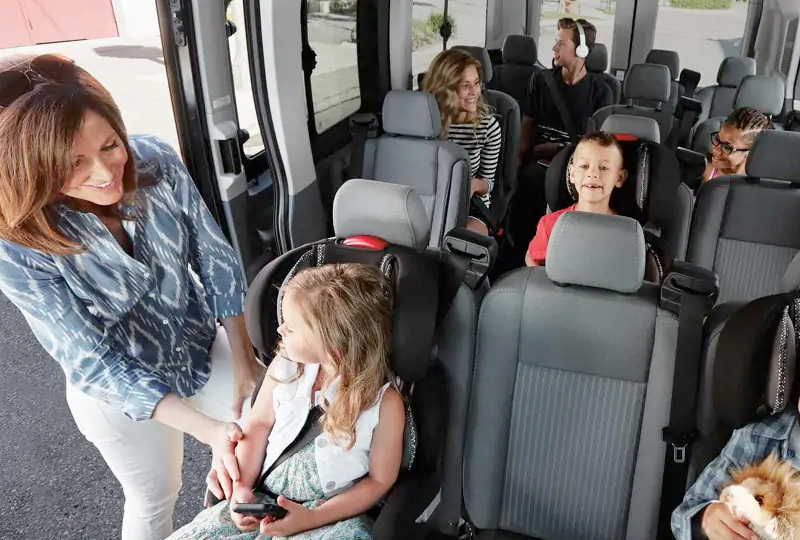 15-passenger seating is standard in the long-wheelbase extended-length van. Aisle seating is also standard on Transit 10-, 12- and 15-passenger vans. TRANSIT CARGO VAN - FOR THE REALLY BIG JOBS. There's another Transit Van built for hard work - Transit Cargo Van. It features a combination of wheelbase lengths and roof heights for the cargo volume and payload you need. The Ford Transit Cargo Van is designed for capability and flexibility - and engineered to Built Ford Tough® standards for durability. 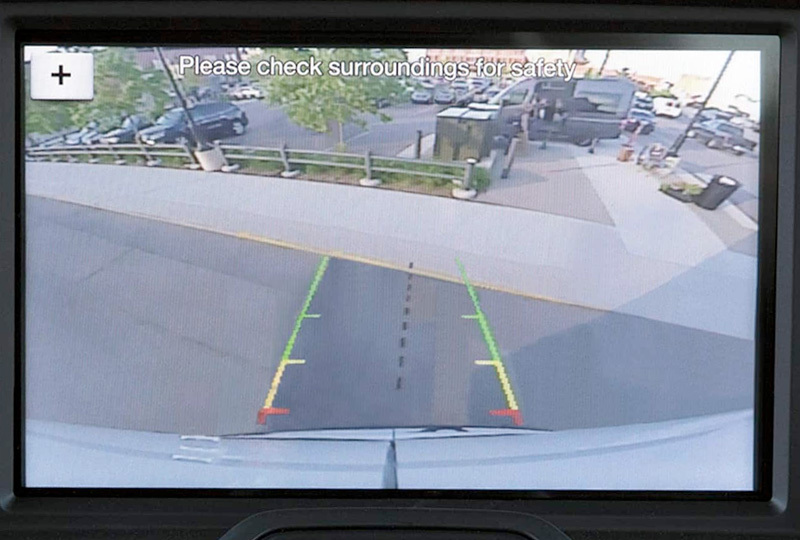 The standard rear view camera2 provides a video image of what's directly behind your vehicle while the gear selector is in Reverse. 1SYNC® is an optional feature. Don't drive while distracted. Use voice-operated systems when possible; don't use handheld devices while driving. Some features may be locked out while the vehicle is in gear. Not all features are compatible with all phones. Message and data rates may apply. Optional Navigation System map updates cannot be received via Wi-fi and require a separate update.